AVCHD, stands for Advanced Video Coding High Definition, was introduced by Sony and Panasonic, and it’s a video file format which is the default format on many models of high definition video cameras and camcorders. Unfortunately, it is not a widely recognized video format, so users can experience problem when they try to play the recorded AVCHD video on their Mac computers, tablets or smartphones. Moreover, when you try to import and edit AVCHD file with iMovie, Final Cut Pro, you will still meet video format incompatibility issue, so this article will share the best AVCHD converter for Mac with you. What Makes A Good AVCHD Video Converter? No software is good if the design is overly complicated. No adware, no spyware, no virus is also important. One of the obvious features of a good AVCHD converter is the ability to convert AVCHD video into your desired video format. Retaining full quality post-conversion is imperative. Regardless of original video quality, you want to maintain that quality throughout the conversion. 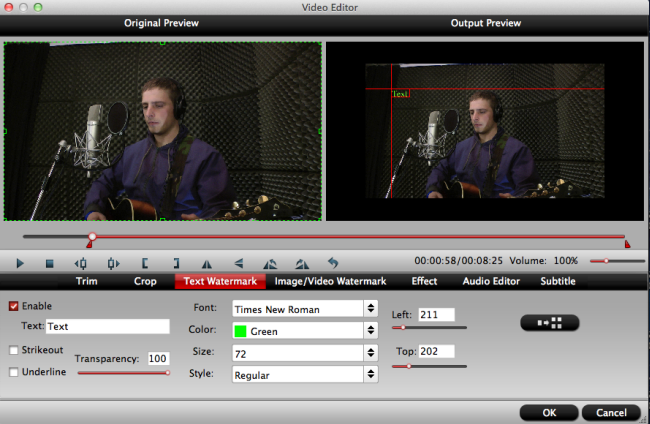 The ability to trim, crop, merge, split a video is imperative. Any good AVCHD video converters will give you, at the very least, some basic editing options. A good AVCHD converter should update periodically to make sure you can operate it smoothly on the latest Windows 10 and macOS High Sierra, or other operating system. Convert AVCHD to MP4, MOV, AVI, etc with high quality for playing AVCHD on Mac. Convert AVCHD to iPhone X/8/7/7, iPad, and other Apple devices, as well as PSP, Android, Windows Phones/Pads, TVs, and more. 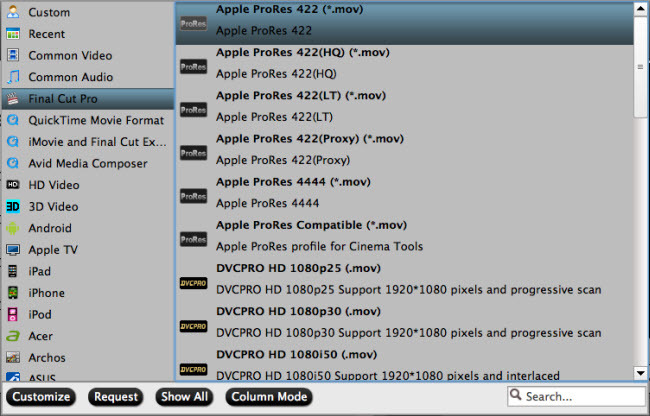 Convert AVCHD to Apple ProRes 422 (*.mov), Apple InterMediate Codec(AIC)(*.mov), H.265/H.264 MP4, QuickTime-MOV, for further editing on iMovie, Final Cut Pro, and other non-linear editing software. Convert 4K AVCHD to Youtube, Viemo, Facebook, by adjust the video frame, video bitrate, video resolution for better video share. Dress up your AVCHD video: add subtitle, add watermark, remove/replace audio, deinterlacing video, rotate video, adjust contrast/lightness, adjust acpect ratio, etc. Support macOS High Sierra, macOS Sierra, Mac OS X 10.11 El Capitan, Mac OS X 10.10 Yosemite, 10.9 Mavericks, 10.8 Mountain Lion, 10.7 Lion, etc. You don’t worry about the OS compatibility. To make it short, below we will go with Mac version to show to how to use the AVCHD converter, its Windows version has the same operating procedures. Open up this program on your Mac computer, and click “Add video” icon on the left top to import source AVCHD video to the program. 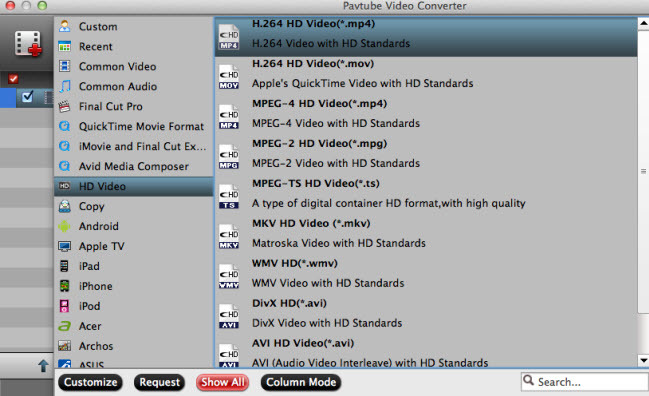 Alternatively, you can directly drag the video file into Pavtube Video Converter for Mac. Click the “Format” bar to select a proper output format according to your own needs. If you wish to transfer AVCHD footage on your portable devices, it is ideal for you to choose a mobile friendly format such as “HD Video” > “H.264 HD Video(*.mp4)” or "H.264 HD Video(*.mov)". If you want to edit the AVCHD video in some NLE software, like: Sony Vegas Pro, you can choose "Adobe Premiere/Sony Ve…"＞ "MPEG-2 (*.mpg)." If you want to enjoy AVCHD video on TV, you can choose “TVs”, in addition, you can choose other portable devices, like: iPad, iPod, iPhone, etc. For better video enjoyment, share, you need to change the video related parameters like: Video and Audio codec, video frame, video bitrate, video resolution, etc. You just need to click “Settings” button and enter “Profile Settings” window. 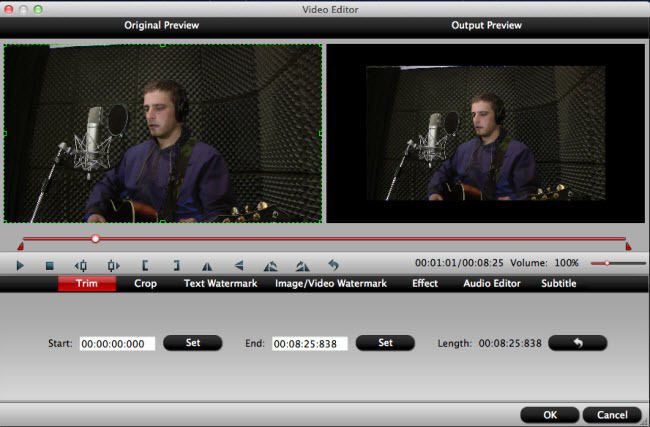 Select an item to activate the “Edit” menu, on the “Video Editor” Window, you can play and preview the original video and output effects. Also you can flip video, trim video length, crop video black bars, add ecternal subtitles, add special effect, reset, and adjust volume, etc. Now you can click the “Convert” button to start the converting process. After the conversion, now you can freely play your AVCHD videos on iPhone, iPad, iPod, iTunes, MP4 player etc. or edit in iMovie, Final Cut Pro. M2TS is a filename extension used for the Blu-ray Disc Audio-Video (BDAV) MPEG-2 Transport Stream (M2TS) container file format. It is used for multiplexing audio, video and other streams. It is based on the MPEG-2 transport stream container. This container format is commonly used for high definition video on Blu-ray Disc and AVCHD. The MTS file type is a video file that allows for digital video cameras to record high definition video directly onto optical discs, hard drives and flash memory cards, making it simple to quickly capture and transfer video of anything you want. MTS and M2TS are both file extensions for AVCHD, the HD digital video camera recorder format, and both support 720p and 1080i HD video formats. You can get MTS, M2TS files from Blu-ray Disc, JVC, Canon, Panasonic, Sony Camcorders, etc. 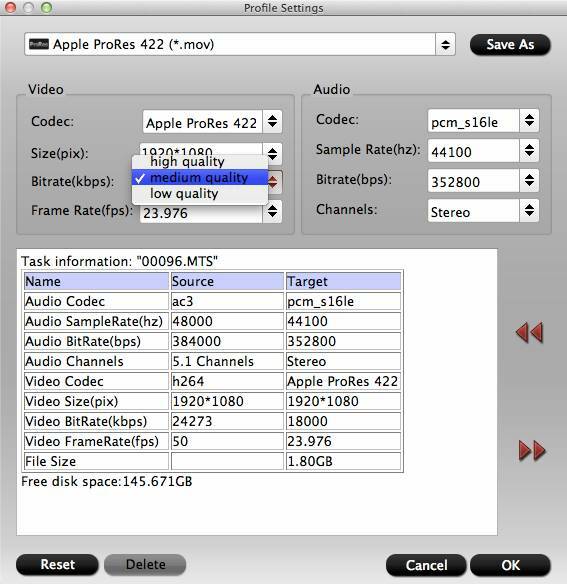 For those people who have got video footages in MTS or M2TS file format may often encounter the video codec incompatible issues when playing and or editing MTS or M2TS files on Mac computer. To help you solve those problems, we will tell you an easy way to help you out. Keep reading. Want to play and edit MTS and M2TS files on Mac computer smoothly, you need to get a professional MTS/M2TS video converter which transcode MTS/M2TS to common video formats that are more recognizable by most media players, devices, and editing software. 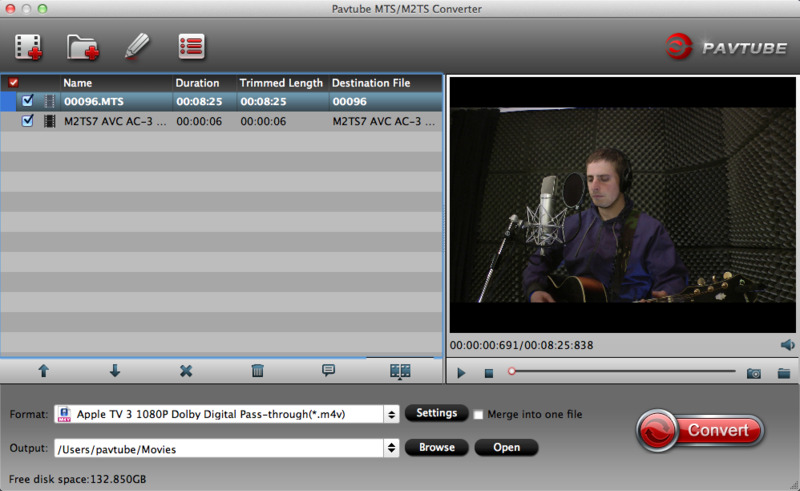 Pavtube MTS/M2TS Converter/ For Mac comes as an all-in-one MTS/M2TS converter which you deserve. The program can comprehensively deal with MTS, M2TS files captured with Sony, Canon, Panasonic and JVC AVCHD camcorders on Mac and convert the files to various professional editing codec for professional video editing program such as Apple Intermediate Codec(AIC) for iMovie, Apple Prores Codec for FCP, DNxHD mov codec for Avid Media Composer and Adobe Premiere Pro/Sony Vegas optimized file formats. Looking for a way to enjoy the captured video footage on large screen devices, just download the program to convert MTS/M2TS files to MOV to play with QuickTime on Mac, or output Samsung/LG/Sony/Panasonic TV optimized file format for playing the files on large screen TV, various different devices such as phones, tablets, game consoles, media players optimized file formats are also well supported by the program. Besides that, you are also enabled to create 3D format video from 2D MTS M2TS files to watch on 3D TV, Virtual Reality devices, Projectors, Players with Side-by-Side, Top-Bottom, or Anaglyph (Red-Blue) effects. Simply drag-and-drop your MTS/M2TS file to the program window or go through “File > Load Video Files” to load MTS/M2TS video. You can add mulptile files at a time and convert them in batch. Here we set example to choose output format for editing on Final Cut Pro, just click Format bar, navigate to "Final Cut Pro", and select "Apple ProRes 422 (*.mov)". 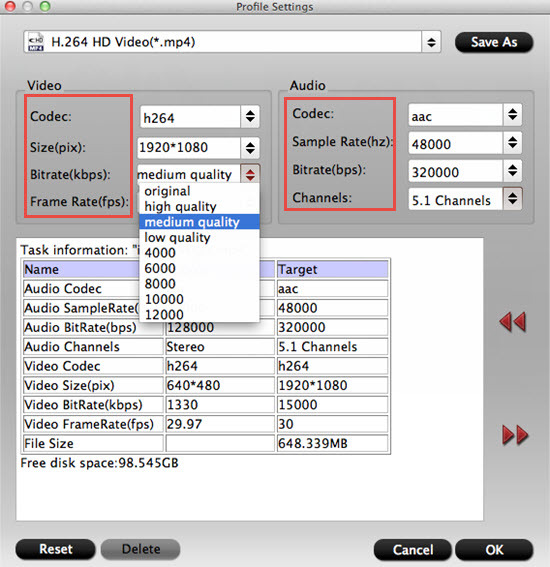 You also can choose H.264 MOV from "Common Video" for playback on QuickTime. In the Profile Settings window, you can choose or specify exactly the parameters you like. And in the Task information section, you can compare the detailed information of the source video and the target video. This MTS/M2TS video converter also works as a professional video editor. With it, you can do some video edition on your MTS/M2TS footage before conversion. Merge selected files into one: By ticking off “Merge into one file” option behind “Settings” button, you can merge the ticked files in list into one single file. Split selected file into several small pieces: By clicking the “Split” button on file list, or from “Edit” menu, you can launch the “Video Split” window. Checking “Enable” to enable it, and then you can split the file by file count, time length, or file size. Click pen icon on the main interface, and enter "Video Editor" window. Here are 7 main tabs for you. The "Trim" feature allows you to decide where to start and where to end when converting the selected clip, so that unwanted segments will be cut out after conversion. "Crop" facility enables you to get rid of the black edges and unwanted area of the image. You also can add text watermark to mark your MTS/M2TS footage. Adding video effects, subtitles are also supported. Simply click the “Convert” button to start converting and everything else will be automated. If you have added quite a bunch of video files, it would take some time to convert. After that, now you can import the converted MTS/M2TS to Final Cut Pro for further editing. You also can get all converted videos on the iTunes library for playback on your iPhone X/8/7/6 soon. 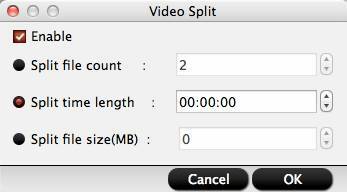 How to Edit AVCHD MTS/M2TS/M2T/TS Files in FCP 6/7/X? How to Import MTS files into Sony Vegas Pro 12/13 With no Problem? M2TS Files Are Not Supported in Davinci Resolve 12, Solved!